برنامج AVG Internet Security برنامج حمايتك أثناء التصفح للأنترنت - يحميك من الفايروسات يحتوى على أنتى فايروس أنتى سبام أنتى سباى وير أنتى روكليت جدار نارى أدوات للنظام أنه avg أنترنت سيكيورتى للحماية الكاملة على الأنترنت يوفر الحماية الكاملة والقصوى لجهازك .بشكل دوري ومستمر ويقوم بحماية الملفات سواء من الفايروسات او الأختراقات من الهكر .. كما يقوم بالتحديثات التلقائية من الإنترنت .. بالإضافة إلى قدرته العالية في مكافحة ملفات التجسس والفايروسات .. والكثير من الخدمات والإضافات النادر وجودها في برامج الحماية الأخرى برنامج شامل يجمع عدة برامج ببرنامج واحد ويقوم بحمايتك من مخاطر الشبكة العنكبوتية ويقوم بالتصدي للهاكر وردعهم يشمل البرنامج على جدار ناري ومكافح ملفات التجسس ومكافحة الرسائل البريدية المزعجة برنامج بأمكانيات عالية ويقوم بتحديث مستمر لقاعدة بياناته ليخلصك من أنواع الفايروسات وملفات التجسس والديدان والملفات الخبيثة . Get complete protection from the most dangerous threats on the internet - worms, viruses, trojans, spyware, and adware. Trend Micro Internet Security Pro safeguards your online transactions, identity, and irreplaceable files with the most comprehensive protection available. Get all the benefits of our proven Internet security plus enhanced identity theft protection, Wi-Fi validation, data theft protection, and system recovery. Trend Micro Internet Security 2008 makes it easy to protect your home network, personal identity, and online activity. It guards against present viruses, spyware, and identity theft as well as the web threats of tomorrow. Confidently e-mail, shop, bank, or share photos online, knowing your privacy and files are well protected. Trend Micro PC-cillin Internet Security is the first personal Internet security solution specifically designed to extend desktop security to your home and wireless networks. Trend Micro PC-cillin Internet Security combines award-winning antivirus security and a personal firewall-for comprehensive protection against viruses, worms, Trojans, and hackers. It also detects and removes spyware and blocks spam. It even guards against identity theft by blocking phishing and pharming attacks. Plus, PC-cillin protects your wireless network with Wi-Fi Intrusion Detection, an innovative security feature that #####s you when an intruder uses your Wi-Fi connection. 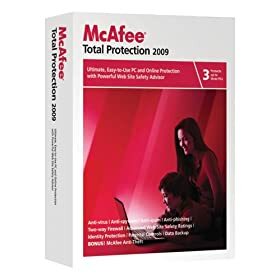 Easy to install, configure, and manage, Trend Micro Internet Security 2008 automatically updates and immunizes your PC and removes malicious threats buried deep inside your computer. With features for home network protection, URL filtering, data theft and online fraud protection, unauthorized change prevention, and much more, this superior suite goes far beyond the basics. For greater protection, enable the optional Parental Controls, Spam Email Filter, Data Theft Prevention, and Wireless Home Network Monitor features. * A sophisticated monitoring system intercepts and blocks unauthor changes to your computer?s operating system and applications. * A single integrated scan now checks for computer viruses, spywar operating system security flaws. * Security activity reports let you see at a glance how Trend Micro I Security 2008 has protected you recently. * New Trend Micro Data Network controls offer more protection. * Image spam filtering catches unwanted messages containing only advertising graphics used to bypass text-based scanning systems. F-Secure Internet Security 2009 provides you with everything that is necessary to protect your computer against the internet threats and viruses that are out there today. This security software offers complete protection against malicious software with many high quality features that will make sure that your computer is up-to-date with the latest virus information and other online threats that arise continuously. This is especially made possible with its key feature, a new technology, F-Secure DeepGuard 2.0, that will constantly monitor the activities of your computer ensuring complete virus protection also against unknown viruses that are born every day. This software also includes features like award-winning antivirus, easy-to-use personal firewall, an improved antispyware. Additionally, the software filters unwanted spam and so called phishing attempts from your eMail. With the parental control you can control which websites are accessible from your computer and block the websites with questionable #######. * Protects your children against unwanted Internet #######. NEW! Quick and easy installation, faster boot-up times and faster scanning and cleaning of files. With automatically updated virus protection from the world-renowned F-Secure Data Security Laboratory and the new F-Secure DeepGuard 2.0 technology that instantly protects you against zero-day attacks and other future threats, you can safely use your computer, now and tomorrow. F-Secure Internet Security detects and removes secretly installed software from your computer better than ever before, ensuring that your system is running smoothly and clean of spyware. You can keep your private data to yourself with the personal firewall that stops hackers from breaking into your computer. F-Secure Internet Security filters unwanted spam and e-mail schemes designed to steal your private information. F-Secure Internet Security ensures that your children or teenagers do not enter objectionable sites or surf the Internet when you are not around. 6- مجانيـة تامة ,, ولن تحتاج اي كراك او سريال اطلااقا فكل هذه الخدمات بـ جودة عاليـة وبشكل مجاني. The COMODO Internet Security was designed to be the that integrates COMODO Antivirus, COMODO Firewall and COMODO Defense+ in a seamless manner. We have also fixed many bugs in COMODO Firewall with this release. COMODO Firewall or COMODO Antivirus canbe installed as standalone products by using the same setup. 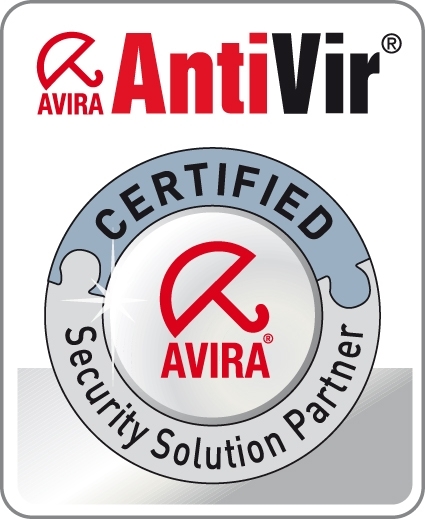 Developed by one of the world's leading IT security providers, Comodo AntiVirus leverages multiple technologies (including on demand & on access scanning, email scanning, process monitoring and worm blocking) to immediately start cleaning or quarantining suspicious files from your hard drives, shared disks, emails, downloads and system memory. Comodo Firewall Pro offers 360° protection against internal and external threats by combining an enterprise class packet filtering firewall with an advanced host intrusion prevention system. The new-look interface facilitates quick and easy access to all major settings, including the powerful and highly configurable security rules interface. Built from the ground upwards with your security in mind, this award winning firewall constantly monitors and defends your system from inbound and outbound attacks. Version 3.0 now features a fully fledged Host Intrusion Prevention System called Defense+ to protect your critical operating system files and block viruses and malware before they ever get the chance to install. In fact, Defense+ is so good at blocking malware, you may never need a dedicated anti-virus program ever again. The new-look firewall features a friendly graphical user interface; highly granular configuration options; easily understood and informative #####s; wizard-based detection of trusted zones and much more. It delivers enterprise class protection yet can be used ‘out of the box’ - so even the most inexperienced users will not have to deal with complex configuration issues after installation. 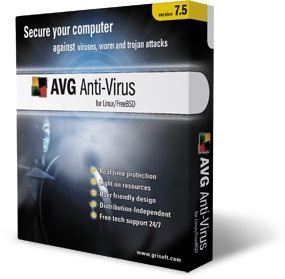 CA Anti-Virus 2009 provides comprehensive anti-virus software protection against viruses, worms and Trojan horse programs. If you are unprotected, viruses can invade through email, downloads, instant messages, and even web pages. They can erase your computer files, damage your hard drive, and destroy the information you value most like photos, music, documents, and more. Daily, Fully Automatic updates easily and effectively address the #1 reason PC users suffer attacks: out-of-date signature files. Automatic email Scanning is designed to protect against viruses that arrive by email, before they can cause damage. Scheduled and on-Demand Scanning allow you to run a scan at any time, or to schedule scans at pre-selected intervals to meet your needs. 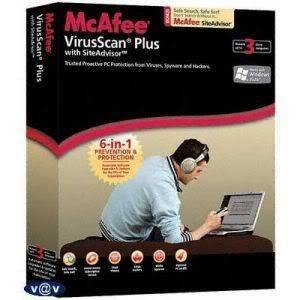 Real-time Scanning proactively helps stop viruses by scanning files when they are opened, closed, or saved to your PC. Advanced Heuristic Scanning helps detect new threats even before virus protection updates are created. Interactive Virus Detection Messages provide links to helpful resources in the CA Virus Information Center when threats are detected. File Quarantine sends threats to a secure quarantine area where they can’t cause harm. File Exclusion list allows you to exclude specific files and folders from scans. Archive Scanning allows you to scan compressed files in a variety of formats. Certified by Independent Testing organizations ICSA Labs, West Coast Labs, and Virus Bulletin as effective virus protection. Norton Internet Security 2009 is a very useful internet security utility that will protect your computer while you surf online. The chaos and rapid growth of the World Wide Web have created the perfect environment for malicious and damaging entities that threaten your PC and your identity. The important documents stored in your computer must be protected from hackers and other virtual prowlers. With Norton Internet Security, you will be able to enjoy your computer with confidence, knowing that viruses and spyware will be either blocked or removed. All kinds of malicious programs will be removed automatically, including the damaging side effects. برنامج نورتون للحماية من الفيروسات يحدث قاعده بياناته للفيروسات باستمرار ليوفر حماية دائمة للانترنت والبريد الالكترونى خاصتك. يحوى تقنيات الكشف عن الفيروسات بالاضافة الى اصلاح الملفات المصابة، مما يسهل على المستخدم حماية نظامه من الفيروسات والديدان على الانترنت. نورتون ايضاَ يعتبر جزء هام من مجموعة Norton SystemWorks 2005. يحمى البرنامج النظام من ملفات الجافا والبرامج الخادعة كما يحميه من الديدان والفيروسات. يحذر البرنامج المستخدم عندما تصبح قاعده بيانات الفيروسات قديمة جدا بشكل خطير ، لكى يحدثه عن طريق الانترنت. يوفر البرنامج حماية فورية للملفات والبرامج، حيث يكشف عن الفيروسات فى كل ملف او برنامج قبل ان يتم فتحه. يوفر البرنامج سيدي ذاتى الاقلاع لسهولة استرجاع النظام بعد الاصابة بالفيروسات. يتضمن نورتون امكانية الكشف المبكر عن الفيروسات، فهو يكشف الفيروسات قبل ان يتم الاعلان عنها او تصميم المضاد لها، مما يزيد من فعاليته. Symantec’s Norton AntiVirus 2009 - Winning protection against viruses, spyware, and other malicious threats! Heuristically detects Spyware threats, detects blocks Internet worm attacks, and protects email. Norton AntiVirus blocks viruses and spyware with advanced protection. It helps protect your entire computer by stopping viruses, spyware, and other security risks. Norton AntiVirus works in the background so you can surf the Internet, read the news, play games, and download software or music without disruption. It also scans and cleans all email and instant messaging (IM) attachments, preventing you from receiving viruses, or spreading them to others. With set-it and forget-it functionality, Norton AntiVirus checks for updates continuously and automatically blocks new and emerging threats from getting on your system. In addition to protection updates, Norton AntiVirus provides new product features as available throughout your service sub######ion. • Stops viruses, worms, spyware, bots, and more—Keeps your system protected against all types of malicious threats. • Norton™ Insight—Delivers innovative intelligence-driven technology for faster, fewer, shorter scans. • Rapid pulse updates every 5 to 15 minutes—provides up-to-the-minute protection. • Prevents virus-infected emails and instant messages from spreading—Feel secure while you keep in touch. • Blocks browser exploits and protects against infected Web sites—Surf the Internet with confidence. * New! Proven fastest, lightest security suite available. * New! Scans only files and processes at risk using Norton™ Insight. * New! Installs in under one minute on average, requires less than 10 MB of memory, and only 100 MB of disk space plus definitions. * New! Delivers up-to-the-minute protection with rapid pulse updates. * Improved! Provides multilayered security through the Norton™ Protection System. * New! Prevents bots from taking control of your PC. * Detects and automatically removes malicious threats. * Improved! Defends against Web-based attacks. * Automatically detects and removes spyware, viruses, Trojans, bots and Internet worms. * New! Boots and repairs badly infected PCs. * New! Delivers our most complete, deep cleaning scan possible. * New! Review the security status of every process on your PC. * New! Ensures movies and games are never interrupted. * 150 MB of available hard disk space. أنا عندي أنتي فيريس"avira "